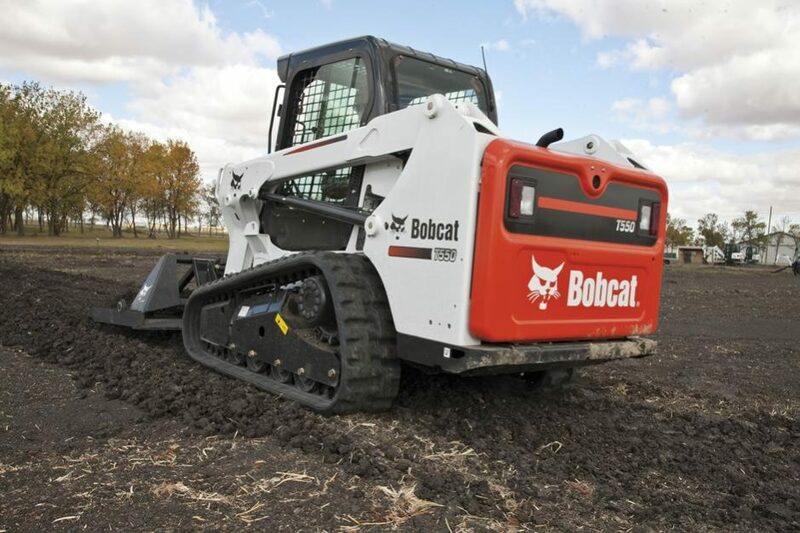 The Bobcat® T550 is just 68 inch wide with a bucket, making it a good choice for backfilling and grading. The radius lift path provides greater maximum reach at mid-range heights such as dumping over a wall, backfilling or unloading flatbed trucks. The T550 is powered by a Tier 4 diesel engine.